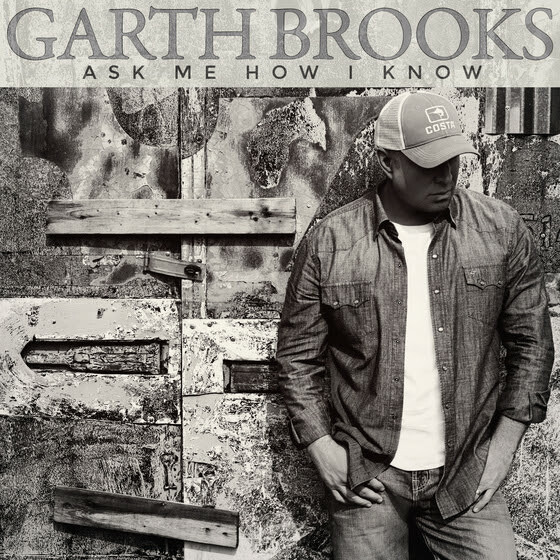 In a press conference today (March 17) at South By Southwest (SXSW) in Austin, Texas, Garth Brooks announced that “Ask Me How I Know,” written by Mitch Rossell, will be the second single from his new album Gunslinger. The song, available to preview here, is a poignantly reflective track heralded as a “romantic power ballad” by LA Times. It was also revealed that Brooks will headline Saturday night at the SXSW Outdoor Stage featuring Garth Brooks: Presented by Amazon Music. Taking place at Ladybird Lake, complimentary general admission tickets are sold out. Tickets to this event are restricted to residents of Austin and surrounding areas. SXSW registrants and Music Festival wristband holders can also attend, with a special allocation of space made available via Primary and Secondary access. Later today, Brooks will be joined by Amazon Music Vice President Steve Boom for a special keynote conversation. 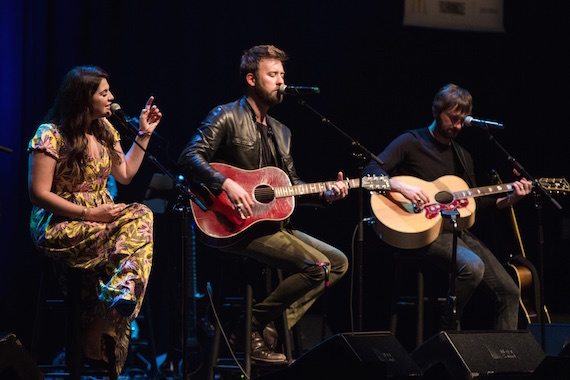 Lady Antebellum, busbee and Nicole Galyon perform on Thursday, March 16 at CMA Songwriters Series at The Moody Theater in Austin, Texas as part of South By Southwest. Seven-time CMA Awards-winning trio Lady Antebellum brought the intimate CMA Songwriters Series back to the SXSW Music Festival Thursday night (March 16) as they took the stage at Austin City Limits Live at The Moody Theater, alongside CMA Awards-nominated songwriters busbee and Nicolle Galyon. Dave Haywood, Charles Kelley, and Hillary Scott performed their hits, including six-time Platinum single “Need You Now” and double Platinum “I Run To You,” along with new material from their forthcoming seventh studio album Heart Break. Lady A also performed a special rendition of their current Top 25 single “You Look Good,” as they were joined by the song’s co-writer busbee, who also serves as the producer on their upcoming record. The performance marked the CMA Songwriters Series debuts for busbee and Galyon, both CMA Song of the Year nominees for penning Maren Morris’ “My Church” and Miranda Lambert’s “Automatic,” respectively. Mike Mills of R.E.M. 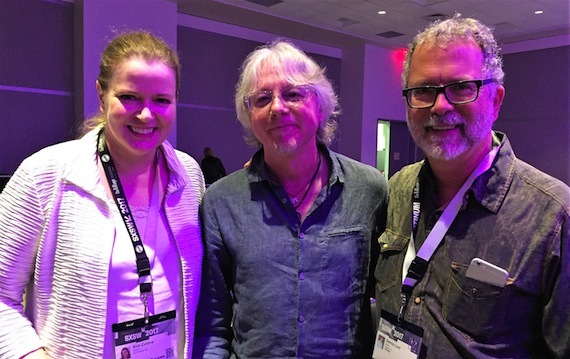 spent some time with SESAC execs at South By Southwest. Mills was in attendance for a Q&A session following the premiere of Thank You, Friends: Big Star‘s Third Live … And More which will be released on CD/DVD on April 21.